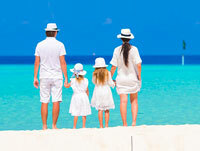 Save for your summer vacation by opening a Vacation Club account. Through payroll deduction or other regular deposits, you will save systematically and painlessly. Account pays out balance plus dividends on June 1st to your share account, allowing plenty of time to plan a summer vacation! No minimum balance is required to open the Vacation Club Account. View "Rates" for current Club rate.